The public needs to be a part of public administration. Beyond meeting statutory requirements or political expectations, sincere public engagement needs to be a part of the development of policies and programs that result in effective public service delivery systems. 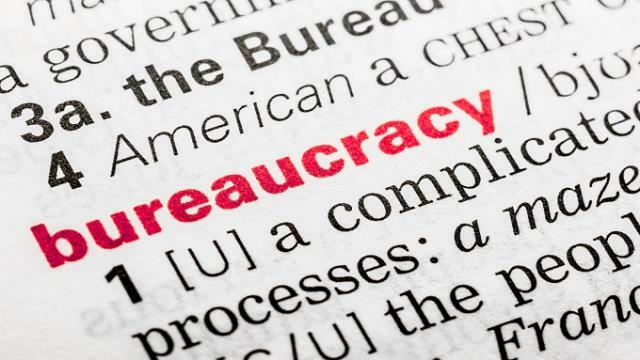 Historically, a number of bureaucracies have distanced themselves from the very public they serve. They have intrinsically not recognized the necessity for civic engagement in a democratic society. In that it can be argued that public involvement is a primary basis for building trust between government and the governed, civic engagement needs to be a part of the bureaucratic DNA equally valued as the tenants of business applications and efficiency. The primacy of the question itself should serve as an indicator of the level of civic awareness by the bureaucracy. H. George Frederickson posed this question to the membership of the International City/County Management Association (ICMA) in his 2005 Public Management magazine cover story, “Transcending the Community: Local Leadership in a World of Shared Power.” Since local government managers are the primary consumers of this publication one might suspect a hypothetical answer to be succinct, self-evident and likely in the following order: we work for our governing boards, the residents, property owners and business operators within our jurisdictions, our own organizations, and finally the general citizenry at large. This example is a gross generalization and subject to locally driven variations, yet does its core meaning actually permeate the bureaucracy or not? In their text, Public Administration-Understanding Management, Politics, and the Law in the Public Sector, David H. Rosenbloom, Robert S. Kravchuk and Richard M. Clerkin state “. . . when one moves from being a democratic citizen to being a bureaucratic subject, one is crossing into a different culture and system of rule.” They depict how democracy requires a sense of equality, rotation of officials in public office, the preservation of freedom, a pluralistic approach to governance, citizen participation, openness, facilitating a sense of community and governmental legitimacy based on election. On the other hand, the authors state that bureaucracy favors hierarchy, seniority, command (and control), unity, participation based on expertise, secrecy, impersonality and legitimacy based on expertise. Although most public administration courses and curriculums stress the importance and responsibility of the public sector in relationship to the proper functioning of a democratic society, the concept is often overwhelmed in practice by the day-to-day demands of operating a governmental agency. The vestiges of Woodrow Wilson’s concept, “the field of administration is the field of business,” Luther Gulick’s “POSDCORB,” and Herbert Simon’s “administrative man” are all very much alive and well in todays governmental hallways. The contrasting needs of democracy and bureaucracy may be further exacerbated by Wilson’s own politics-administration dichotomy. Although primarily intended to minimize political favoritism and the meddling of elected officials in the operations of government his notion may have contributed to the separation of the democratic needs of society and bureaucracy’s need for efficiency. In that politics are a normative component of the democratic process it may provide enough impetus for bureaucracy to compartmentalize the broader sense of democracy into the narrower definition of polity. Simply stated, the function of democracy is between elected officials and their constituents. 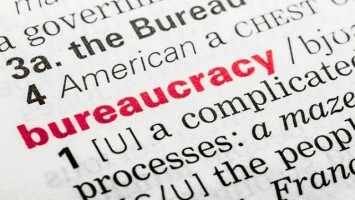 The bureaucracy is charged with the function of government and is therefore separate and apart. The interrelationship of democratic processes with the mechanics of government is not naturally interwoven into the psyche of bureaucracy. With their book, Reinventing Government, David Osborne and Ted Gabler ushered into local governance the era of the new public management. Government fixates on cost-efficiency, professional management, performance and reporting. Bureaucracy now moves beyond the patterns of rules, regulations and rowing. It moves to the level of being mission-driven, market sensitive, results oriented and steers rather than rows. Yet the new public management added to, and did not replace, many of characteristics of the old public administration. It acknowledges an actual relationship between the bureaucracy and the constituent/customer. Yet its focus on efficiency and managerial techniques neglects to acknowledge the equal importance of civics and programmatic effectiveness. The concept of steering serves as an example. At best it enables communities in developing a civic dialog. At worst, it is governmental patronization. However well intended, if the process is motivated by politics or bureaucratic processes alone the public will know it. If not approached with a sincere attempt to solicit public input, it will engender a lasting negative impression. One that will erode the very trust the bureaucracy should be trying to garner. In his 1949 essay entitled, Power and Administration, Norton Long stated, “the lifeblood of administration is power. Its attainment, maintenance, increase, and losses are subjects the practitioner and student can ill afford to neglect.” In the end, bureaucracies need to concede a level of power and authority in order to facilitate constructive public discourse and participation. Our agencies must prioritize civic discourse as it does efficiency and performance. Our democratic system of governance requires it. Author: Stephen G. Harding is a management and policy advisor to local government. Over his 38 year career, he has served nearly 60 public, private, nonprofit, and academic organizations. He is currently an adjunct instructor and teaches graduate level courses in public administration at Northwestern University, the University of La Verne and California State University, Northridge.